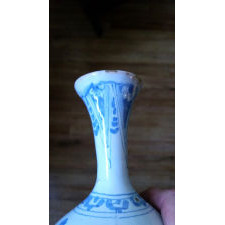 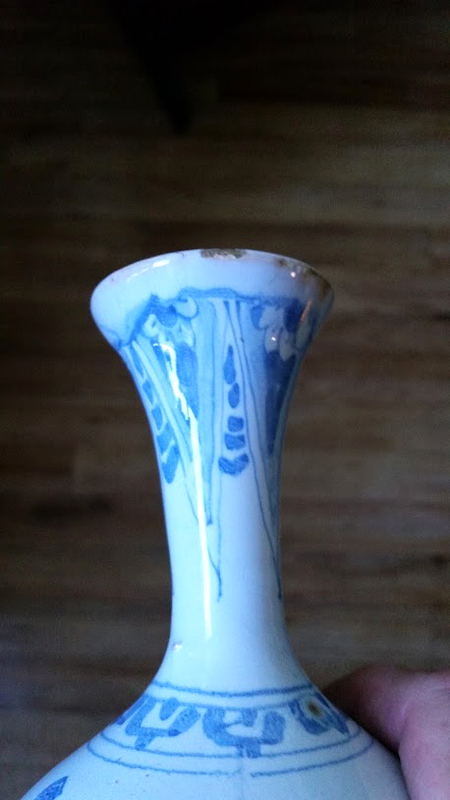 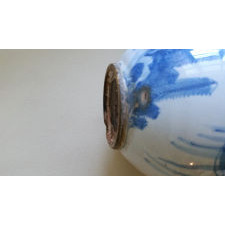 Antique Dealers Association of America - Frankfurt German Faience Blue & White Trumpet-neck Bottle Vase, Circa 1680. 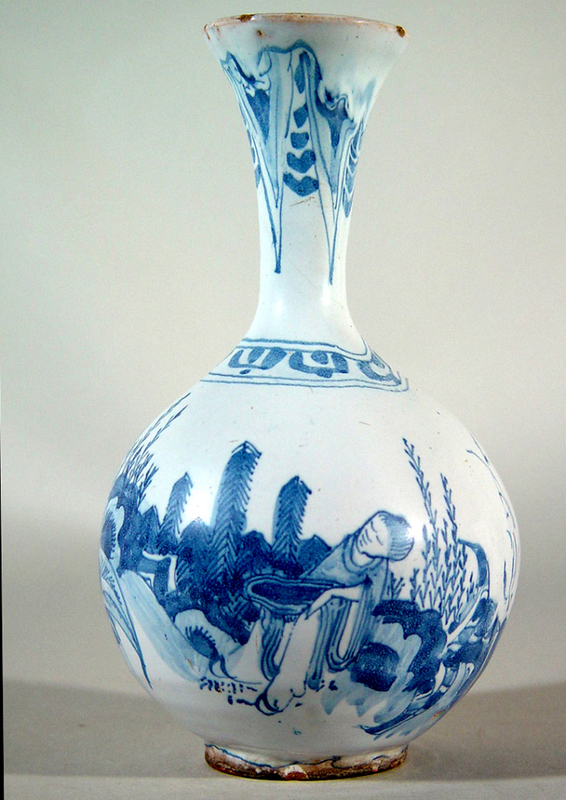 Frankfurt German Faience Blue & White Trumpet-neck Bottle Vase, Circa 1680. 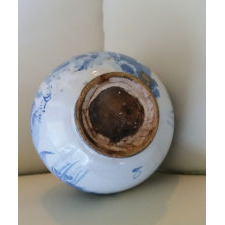 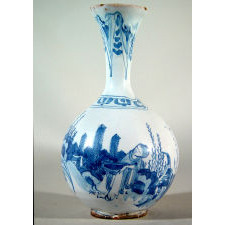 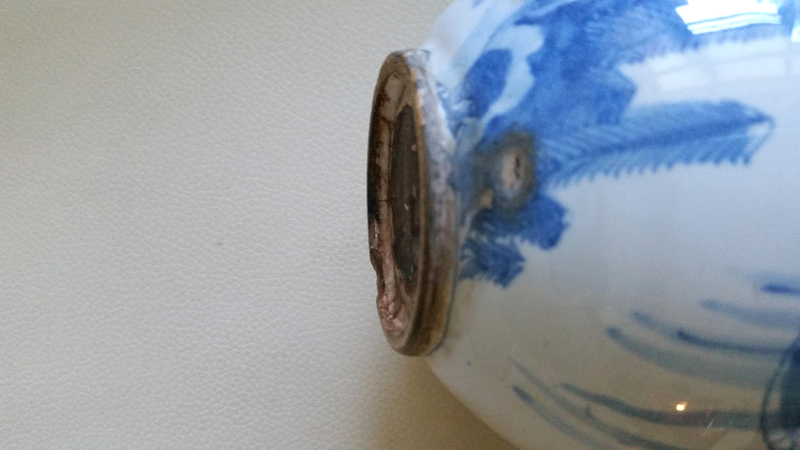 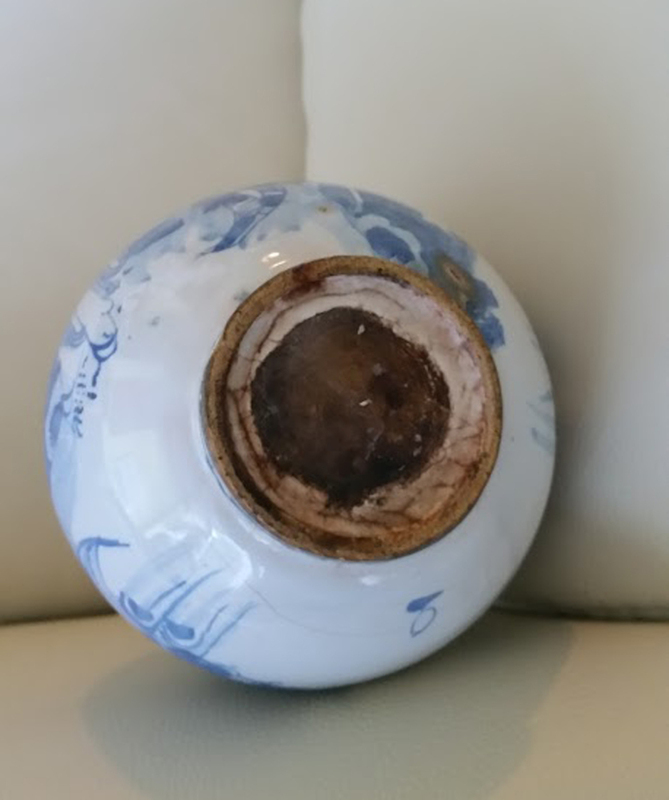 The vase is decorated continuously around the body in underglaze blue and white with a Chinoiserie landscape.